Overview: Join in the fun with your favorite Knuckleheads "THE THREE STOOGES". Each of these slap happy guys offers their own special feature in what will "Soitenly" become a Real Series Slots favorite. 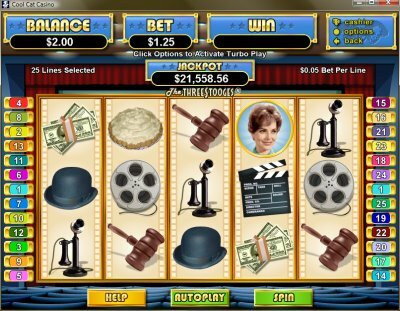 "Moe Money" awards 5, 10, 15, 20 or 25 free games with a prize multiplier of x2, x5 or x10. And any retrigger adds 10 extra games to this feature! "Curly Cash" awards 10, 20 or 30 free games where all prizes are TRIPLED. Trigger "Larry's Loot" to reveal prizes up to x1000 bet. 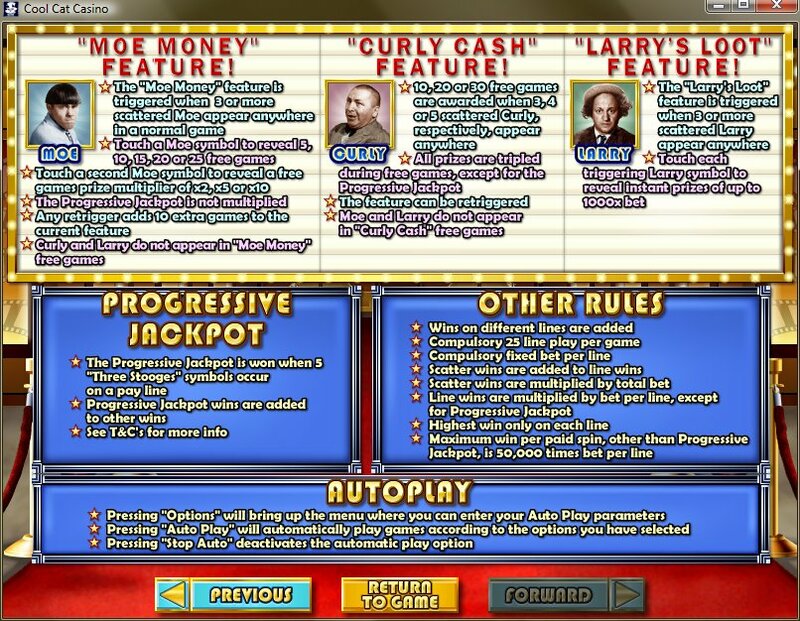 Win the progressive jackpot by revealing 5 "Three Stooges" symbols on any payline. During normal play, "Three Stooges" will substitute for all symbols except scattered Larry, Curly & Moe. 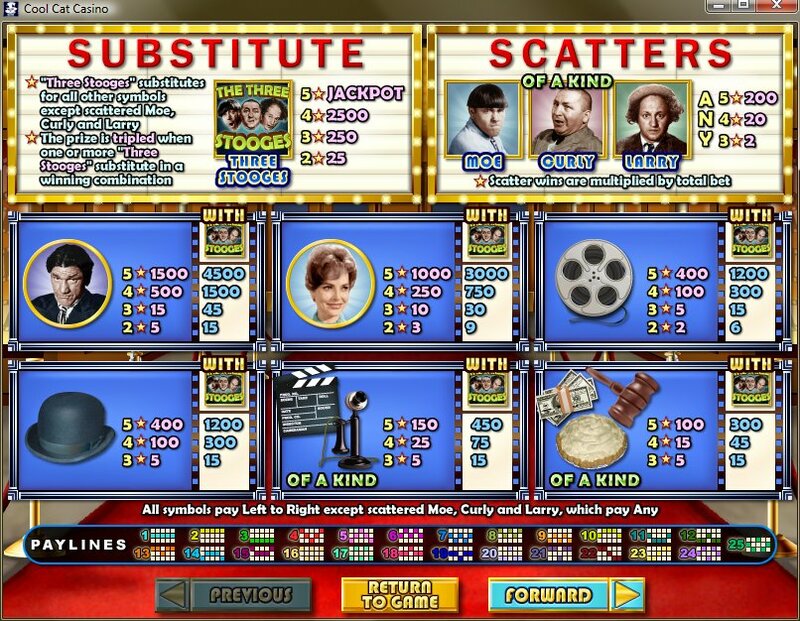 Similar Slots: If you like The Three Stooges, you might like these other slot machines from RTG: Coat of Arms, Honey to the Bee, Jazz Time, Paydirt!, Small Fortune, The Naughty List.